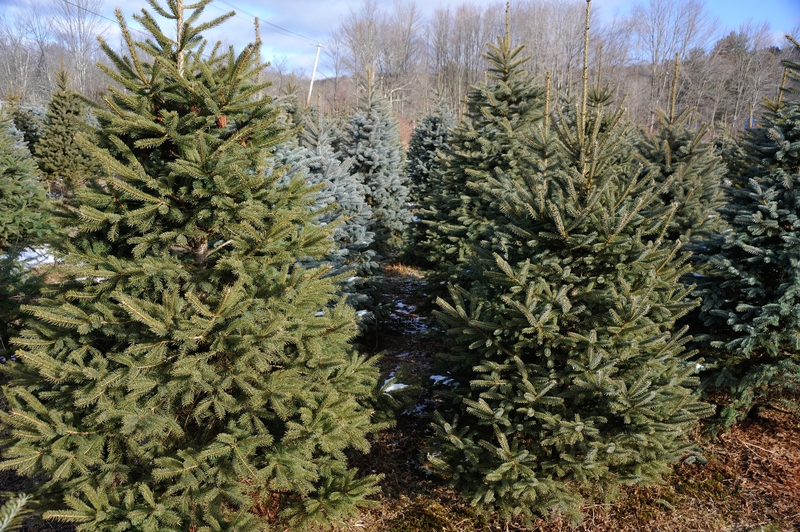 Maple Hollow Farm offers a variety of the hardiest, most popular Christmas Trees. Pruned from a young age, our trees are conical in shape, ranging from short and stout to tall and thin, and everywhere in between. The following is a short description of our most common tree types. Althought native to the high terrain of the southern Appalachian mountains, Fraser fir grow particularly well at the farm. Their short, blunt needles and stout limbs offer a soft and sturdy anchor for ornaments of all sizes. The Canaan fir (pronounced “Kinane”) is a little known specie of evergreen native to the valleys of West Virginia that happen to grow nicely on the farm. Similar in appearance to fraser and balsam fir, the canaan fir is a shade lighter with slightly longer needles. 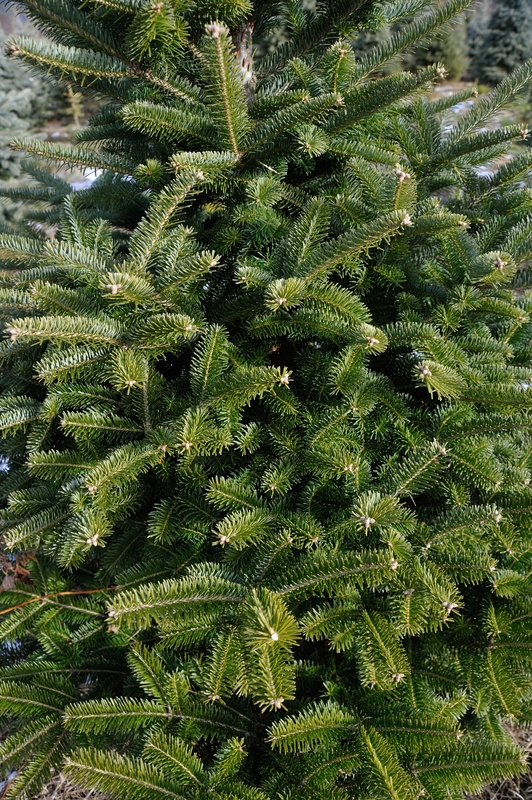 Between their great aromatic scent and soft needles, Canaan fir are an increasingly popular choice for families. Balsam Fir make for a classic New England Christmas tree. Native to the high northeast latitudes, Balsam fir have a deep green coloring and characteristic scent, making the tree widely popular. Their soft needles and sturdy limbs are perfect for decorating. Although their needles are sharper than most other species, the blue spruce’s striking blue green hue makes it a consistent choice for Christmas. With strong limbs and a dense, conical shape, few trees look more like a Christmas tree than a blue spruce. The white spruce is a native of the northern forests. Despite its name, the white spruce is often close to a silvery sage in color, growing tall and straight with ample limbs. 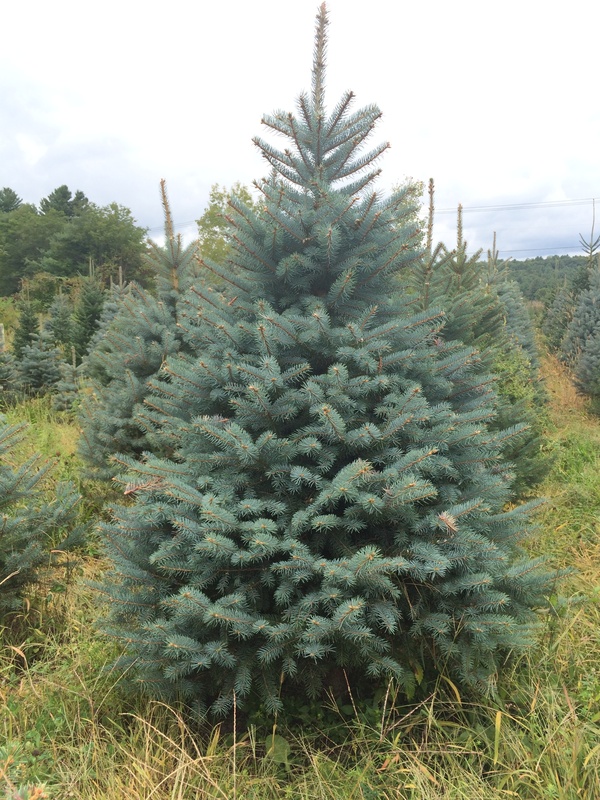 Its needles are shorter than the blue spruce and not nearly as sharp. Many complain that white spruce needles will not last. But cut fresh from the farm, this is a tree that can last into the new year. 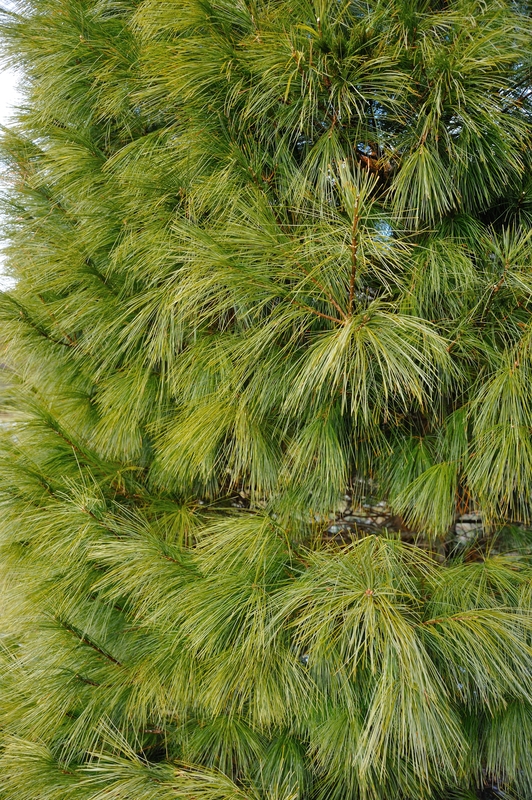 Native to much of the eastern U.S., white pine are a fast growing, full and make for the a classically shaped Christmas tree. Compared to other species, their needles are feathery soft and great for homes with children. Due to their soft limbs, the white pine is perfect for tinsel or lighter ornaments, but may weigh down with the heavier clay or porcelain ornaments.